Ingraham To Romney: "Get Out There On The Trail And Get Off The Jet Ski"
"It seems to me that the way the [Romney] campaign advisers are speaking to the press, they want to quickly move off of ObamaCare to just a general take on the economy and jobs. And that is where they think their gold is. That is what they think is the strong points for Romney is and where his strengths lie," radio host and television commentator Laura Ingraham said about Mitt Romney today on her nationally syndicated program The Laura Ingraham Show. "For me, I think he needs to be out there, [at a] patriotic venue," Ingraham suggested. "Why not? Not that I don't like Lake Winnipesaukee, it's gorgeous, it's beautiful and you have every right to celebrate your family and I think they're wonderful people. That's fine." 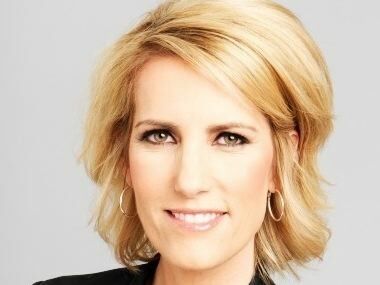 "I don't even think this is his fault," Ingraham opined. "This is his advisers. This is not Romney, this is the advisers telling him, 'Oh, it's fine. Take a week.' There's no week to spare, we have a country to save." "Should Romney call the ceasefire or get out there on the trail and get off the jet ski?" Ingraham asked at the end of the segment. Dem Rep.: "Some People Call It A Recession, I Think It's A Depression"
Krauthammer: This Is Third "Summer Of Recovery" In A Row; "Three Strikes And You're Out"